Recently, Natan Sharansky, Chairman for The Jewish Agency met and welcomed nearly thirty families including seventy-five children at Ben Gurion International Airport between Tel Aviv and Jerusalem. 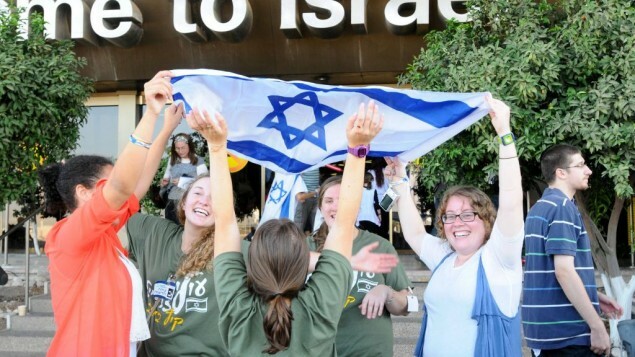 Although the event was exciting, it was not all that unusual; as hundreds of thousands of Jews all over the world have made Israel their home over the last seven decades or so, through what the Jews call, Aliyah … the “going-up” ingathering of their people. What made this group of immigrants exceptional is that they all had left their homes in North America to take up residence in Israel; the Promised Land given to them by the God of Abraham, Isaac, and Jacob. To be sure, thousands of Jews have immigrated from Canada and the United States to Israel. Yet, considering that people from all over the world would do just about anything to move to the United States (and Canada), it is quite remarkable that even a handful of people would want to do just the opposite … move from the prosperity and security of America and Canada to the uncertainty and turmoil faced by this tiny democratic Israeli nation surrounded by enemies who seek their destruction. *Note: Next Year in Jerusalem is a saying repeated by Jewish families for hundreds of years to this very day, especially during the Passover celebration. The families included David and Lisa Parshan and their two younger children. Said Lisa Parshan, “It was very nice to watch people just like us coming off … all jet lagged but with a smile on their face. It was really a very exciting experience.” The Parshan family had made Aliyah to Israel primarily because their oldest daughter, Shira, had paved the way by moving to Israel two years earlier! As I have said in one way or another in two books and in past Eye of Prophecy articles, and as other students of prophecy have articulated in similar fashion, “Watching Jews return to Israel in such great numbers is watching Biblical prophecy unfold before our very eyes.” As significant as Aliyah is (I would place it alongside of Israel’s rebirth in 1948 as the two greatest signs of the end times), it is only one of twelve modern-day milestones of our generation that tells us we are so very close to Messiah’s return. If you haven’t already, please read two recently posted Eye of Prophecy articles, entitled, Look Up, Redemption is Near, Part I & II, published 7-11 & 7-18-15. Referenced earlier in today’s article was The Jewish Agency, which actually came into existence during the 1929 Palestinian Mandate, conceived in 1917 as part of the Balfour Declaration … subsequently recognized by the now defunct League of Nations. But it wasn’t until Israel’s rebirth in 1948 that The Jewish Agency began its remarkable journey which led to what is now the largest nonprofit Jewish organization in the world. This agency has brought over three million Jews to Israel, providing relocation assistance throughout the land. Their stated mission is to: Inspire Jews throughout the world to connect with their people, heritage, and land, and empower them to build a thriving Jewish future and a strong Israel. Soon after the 1948 rebirth of Israel as (once again) a sovereign nation, most of the Jews who moved to Israel were from European countries and cities ravaged by World War II. Six million Jews had been slaughtered by the Nazi Third Reich. Many of the surviving three million Jews had been stripped of their property, their jobs, their businesses, and their homes. They had hardly anywhere to turn, except Israel. And turn they did. In even greater numbers they later left Russia, where they were still under persecution by the Communist regime and by people who simply didn’t like (many hated) Jews. To this very day, most European, Russian, or South American Jews making Aliyah to Israel do so to get away from a menacing modern-day rise of anti-Semitism. For example, many Jews from France have recently moved to Israel, in direct response to the alarming increase in France’s Islamic population and Muslim terrorist’s acts. From wherever they came, the underlying motivation behind their (leave it all behind) bold move to Israel was that of pressure … to escape the horrors of anti-Semitism. To live in and do their part to help restore Israel as their homeland; a place where they could confidently trust what they were telling themselves and their children: Never again. This must never happen again. Thus, began fulfillment of spectacular prophecies announced by many Old Testament prophets even before the first captivity of the Jews in Babylon, let alone the subsequent complete and seemingly never-ending exile at the hands of the Romans in 70 AD. It was unthinkable that after nearly 2000 years, a people no longer a people, a nation no longer a nation, a language no longer a language could possibly and virtually overnight be restored as a people, reborn as a nation, and revived as a language. It was unprecedented, but it happened, nevertheless! The following passage is one of hundreds that virtually no one, not even the most observant Jews, really believed would ever take place. “Do not be afraid, for I am with you. I will gather you and your children from east and west. I will say to the north and south, ‘Bring my sons and daughters back to Israel from the distant corners of the earth” (Isaiah 43:5-6). Then the Lord through Isaiah prophesied to the Gentile nations: “Gather the nations together! Assemble the peoples of the world! Which of their idols has ever foretold such things? Which can predict what will happen tomorrow? Where are the witnesses of such predictions? Who can verify that they spoke the truth?” (Verse 9). *Note: The formation of the United Nations is a direct result of “gathering the nations together;” of “assembling the peoples of the world.” But as the Lord also said: none of the idols or so-called gods, or psychics, or fortune-tellers, or sorcerers, or pretend prophets of these nations could possibly predict such a phenomenal event as the rebirth of Israel and return of Jewish exiles from all over the earth. 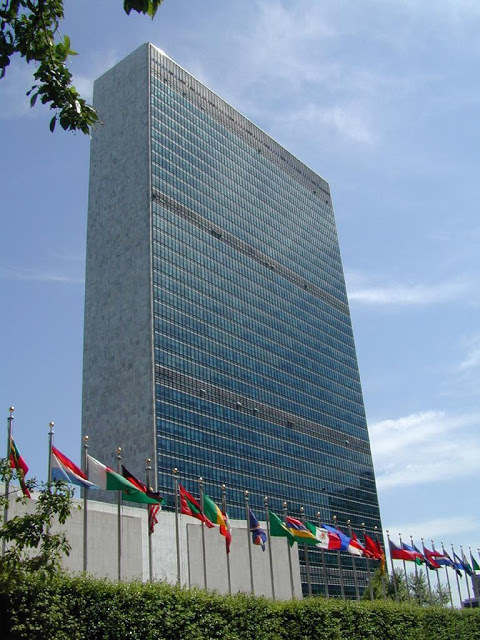 It was absolutely no coincidence that the United Nations was established in October, 1945, just 2 ½ years before Israel’s proclamation of Statehood in May, 1948. Furthermore, it was the United Nations which passed the November, 1947 resolution granting Israel the right to become a member of the family nations of the earth, of which there were fifty-one when the UN was formed. Now there are 193 nations. Returning briefly to the previously mentioned Parshan family and their oldest daughter whose example her parents followed by moving to Israel. Astonishing! Not only to leave her family and move to Israel at the age of seventeen; but to boldly and unashamed tell reporters that her burning passion to be in Israel was fueled by her desire to be there when Messiah comes. With the all too clear inference that she was expressing the shared enthusiasm of hundreds of thousands of Jews, both Sabras (native-born Israelis) and immigrants: Messiah’s appearance is so very near! Although there are subsidiary reasons why the substantial return of Jews to Israel continues to amaze me and others who are genuinely interested in contemporary parallels between what is happening in and to Israel and fulfillment of last day’s prophecies, the appearance of Messiah is undoubtedly the most compelling correlation. With no better representation or convincing testimony than that expressed by Shira Parshan. The Jewish Agency is, by far, the largest organization that facilitates the transition of Jews to Israel, but not the only one. Another agency, Nefesh B’Nefesh is one that works closely with the Israeli government and specifically with the American, Canadian, and British governments to bring Jews to Israel. Since its inception in 2002, this organization has been responsible for bringing some 45,000 Jewish immigrants from these three countries to Israel. In fact, this is the agency that coordinated the Aliyah of the group mentioned in this article. This statement is a precise, poignant, and powerful explanation of another, even more pressing, motive for Jews (especially those who have left a comfortable lifestyle) to move to Israel: Because they want to. And, as indicated, one of the overwhelming reasons that they want to is because—no matter whether they are religious or secular—they passionately believe that Messiah will soon appear and MAKE ALL THINGS RIGHT! They know he will arrive (Messianic Jews agree with Christians, it will be Messiah’s return or second appearance) in Jerusalem. They want to be in Israel when that happens! I went on to explain each of these events in more detail; however, that article also made it clear that these occurrences individually—remarkable as they are—do not necessarily reflect specific Biblical prophecy as such … with the exception of Aliyah that is clearly predicted in Scripture. Rather, as indicated, the purpose for tying these subjects together was to show that many Jews today collectively correlate signs of Messiah’s coming to events that are happening with increasing frequency. I also said in that post that many more things would undoubtedly be seen in the very near future as evidence that Messiah’s glorious appearance is right at the door. Accordingly, it was not my intention to write another article on these type of parallels for at least several weeks or months. Yet, that’s what this article is mostly about. In light of what I’ve read and seen in just the past couple of weeks, I couldn’t resist sharing these stories, most of which come from the Internet site of Breaking Israel News, which is a companion offshoot of Israel 365. Certainly these are not the only websites that focus on current world events, most of which pertain directly to Israel, as seen in the light of Old Testament Biblical prophecy. (Israel 365 and BIN are not Messianic sites). However, these two internet sites place a great deal of emphasis on Israel’s ultimate redemption particularly in the light of how Messiah will bring about that final restoration. Before we continue with three more examples, it’s imperative we realize that these things are not specific Bible prophecies. 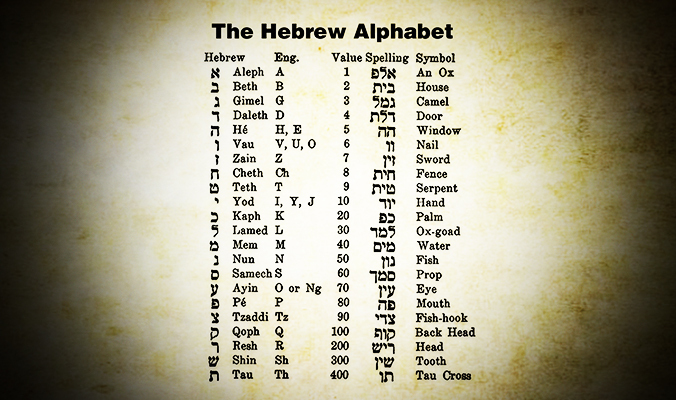 However, I personally afford a great deal of significance to Hebrew gematria, if for no other reason than it is a vital tool in the decoding of the identity of Antichrist found in Revelation Chapter 13. As those know who have read my book, Out of the Abyss … can the number of the beast be solved, 666, the challenge issued by the author of Revelation for believers to ascertain the identity of the beast can be accomplished through gematria … by figuring out his number, six hundred and sixty-six. Several other passages of Scripture also clearly point to Nero as this man (the Antichrist beast), but Revelation 13:18 does so by the use of gematria. Quite likely then, the impact of Hebrew gematria can also be related to the true Messiah, Jesus Christ. She goes on to say, “…there is a well-established pattern of connection between the end of a Shmittah cycle and a downturn in the US economy. This has happened at or near the end of the last seven Shmittah cycles.” (Note: Ms. Adler and a handful of others spell this Hebrew word as Shmittah; however, this article will use the more common and accepted spelling of SHEMITAH, when not directly quoting her articles). What was expected in September AFTER the shemitah has actually begun in this month of August, although there has been a very recent resurgence of the stock market just before today’s article was published. 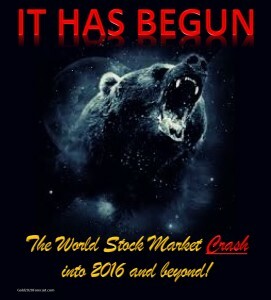 “…The Dow fell more than 1,000 points. Some say it’s just a normal market correction. End of Days blogger Tomer Devorah has a different way of understanding the numbers. In the system of gematria … the numerical value of the word Mashiach (Messiah) is 358. On Thursday, August 20, the US stock market fell 358 points. The next day, Friday, August 21, the US stock market fell another 530 points. Together, 530 and 358 equals 888. Once again a disclaimer for clarification: Although there is some accuracy in what they say, I am not categorically endorsing Ms. Adler’s or Ms. Devorah’s summary conclusion as to the correlation of these numbers to such things as, our souls transcending nature. Biblical numbers are extremely significant as is, to a lesser degree, Hebrew gematria; but both must be examined as an integral part of the entirety of Biblical prophecy. As reflected in the Eye of Prophecy articles, I prefer to rely heavily on Scripture itself, including what the Bible says will happen just before, during, and after Messiah’s appearance. It was the aforementioned blogger, Tomer Devorah who thinks that this end-times Nero of the East is or could be Syria’s President Bashar al-Assad; that his shaky hold of the Syrian government could collapse any day now. Most likely, Rabbi Bar Yochai made the connection that the destruction of Damascus is one of the end-times prophecies that will dovetail with Messiah’s arrival. This one is directly from Isaiah. “This message came to me concerning Damascus: Look, the city of Damascus will disappear! It will become a heap of ruins” (Isaiah 17:1). There are three applications that can be made to any given prophecy. (1) The prophecy has already been fulfilled in Biblical times; (2) the prophecy will come to pass during the last days; (3) the prophecy was fulfilled then and will be fulfilled again during the end-times. Regarding Isaiah’s prediction, I believe it was fulfilled when Assyria conquered Damascus in 732 BC; because a few verses later Isaiah also said: “The fortified towns of Israel will also be destroyed, and the royal power of Damascus will end. All that remains of Syria will share the fate of Israel’s departed glory, declares the Lord of Heaven’s Armies” (Verse 3). Just ten years later, Assyria conquered the ten northern tribes know as Israel … Syria will share the fate of Israel’s departed glory. The glory of Israel began to be restored in 1948 and is in high gear in the 21st century. It’s a much better fit to conclude that the destruction of Damascus predicted by Isaiah occurred when the northern kingdom of Israel was also destroyed within a span of ten years. The word “disappear” used in the New Living Translation is translated, “removed from being a city,” in the NASB. These and other translations essentially mean that Damascus would no longer function as a viable city, let alone the capital of Syria. However, it’s certainly possible that Syria and Damascus will once again be vanquished. As will many nations and cities during the Great Tribulation. If so, we don’t know if the ruin of Damascus will occur before the Rapture or after the Rapture. Moreover, it would only be one of dozens of other end-times prophecies that will take place during the soon-to-come Day of the Lord. What does grab my attention is this second century Rabbi’s reference to the Eastern Nero which can also read, Nero of the East. Why would he even mention Nero or equate the proposed end-times Syrian ruler with this malevolent Roman Emperor? Those of you who have read my book, Out of the Abyss and/or several Eye of Prophecy articles on the Antichrist, know that a ton of Biblical and historical evidence leads to (what I think is overwhelming evidence) the conclusion that the Antichrist is none other than the return of the Roman Emperor Nero. Furthermore, that Nero’s revival was a widely held belief by secular Romans, by early Christians, and I’m sure by many Jews during the first four centuries or so. 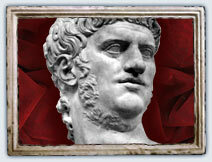 It was even given a name: Nero Redivivus Legend. (Read all about this in the Eye of Prophecy article entitled, The Legendary Return of Nero, published 4-4-15. It was a sequel summary to the series of articles named, “A Beast by Any Other Name … Part I, II, III, published 3-14, 3-21, & 3-28-15). Thus, it’s evident that Rabbi Bar Yochai combined the Old Testament prophecy of the fall of Damascus with the end-times appearance of Messiah, then connected both of those events to the Syrian monarch who would be a representation or counterpart of the wicked ruler Nero. Little did he know that there would be no counterparts of or to Nero? Rather, it will be Nero himself who will appear from the Abyss and boast that he is the risen Messiah and the only God to be worshipped. This fourth and final example of the extraordinary emphasis and enthusiasm over current events as precursor evidence of Messiah’s soon appearance is ominous, to say the least. He specified further than this attack was being planned by current Arab Knesset Member, Hanin Zoabi (who is a known adversary of Israel even though she is member of the Knesset) as a spy for ISIS and Hamas. According to Rabbi Vaknin, God will permit this atrocious attack unless Israel does teshuva … which means to repent. Gil Nachman, a student of Rabbi Vaknin, said that this repentance must be for individual inner sins and dishonoring of parents, of not always telling the truth (lying), and about not being your real self (hypocrisy). Comment: I’m certainly not endorsing or agreeing with this Rabbi’s predictions for several reasons … too many to list and elaborate on in this article. Nor is there time/space to challenge what Israelis individually and Israel nationally should repent of. Except to say that under the New Covenant, the fundamental repentance (change of mind) necessary is to allow God to change one’s heart (Jew and Gentile alike) through the awesome redemption purchased for us by Messiah Jesus. Essentially, it is to repent of unbelief in the final atoning sacrifice that Jesus made on the Cross. Simply put, it’s saying, “Yes,” to God by believing and receiving God’s gracious gift of his Son. Repentance from what is an incredibly important question. Whether Messiah’s appearance (return) is predicated on Israel’s teshuva is a monumentally significant issue and dilemma to the Jewish people, especially the Orthodox among them. The answer is found in the difference between the Old Covenant through Moses and the New Covenant through Messiah Jesus. It’s also found in the prophecies of Old Testament prophets, the words of Jesus while on the Mount of Olives, the book of Revelation, and the Apostle Paul writings on the Rapture and the Antichrist. The primary purpose for including this questionable yet startling and gloomy prediction is in keeping with the main theme of this article. Which is the amazing frequency of rabbinical predictions of and correlation with what is happening in the Middle East, especially Israel, to the passionate and persistent anticipation for Messiah. It is nothing short of incredible. Though many of these associations may not be accurate, the sheer number of them create a modern-day sensation that is unrivaled since the time of Christ … his first coming to the earth. The whole world is watching, wondering, and wavering whether the apocalyptic beginning of the end has begun. Who is Messiah? When and where will he arrive? What exactly will he do? Except for the exact time of Messiah’s glorious appearance, many passages in the Bible have answered these questions. “Yes, says the Lord, I will do mighty miracles for you, like those I did when I rescued you from slavery in Egypt. All the nations of the world will stand amazed at what the Lord will do for you. They will be embarrassed at their feeble power. They will cover their mouths in silent awe … they will fear him greatly, trembling in terror at his presence. 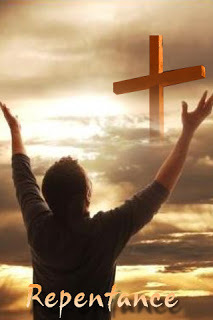 Where is there another God like you, who pardons the guilt of the remnant, overlooking the sins of his special people? You will not stay angry with your people forever, because you delight in showing unfailing love. Once again you will have compassion on us. You will trample our sins under your feet and throw them into the depths of the ocean! You will show us your faithfulness and unfailing love as you promised to our ancestors Abraham and Jacob long ago” (Micah 7:15-20). Based on Scripture and unfolding events in today’s world, I can say with utmost confidence: God’s discipline of Israel through Gentile nations ended in 1967. His compassion for his special possession Israel has returned in active form. He will forgive their sins and pardon the guilt of the remnant. That remnant began in 1948 at the magnificent rebirth of Israel as a nation, of the Jews as a people. It will be refined even more … down to those who will gladly recognize and receive Messiah Yeshua as their God and Savior.